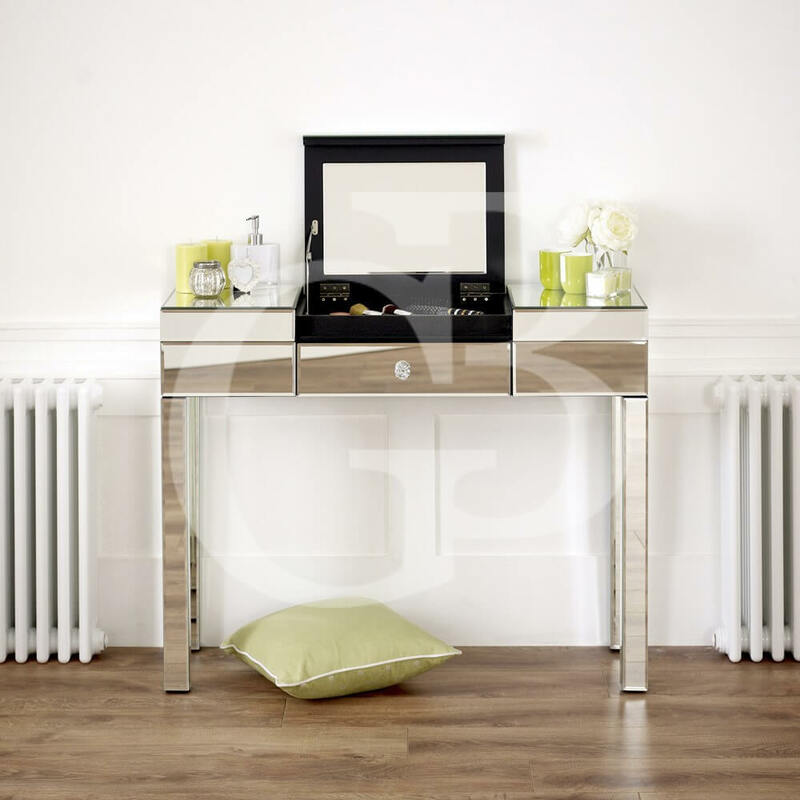 Call us today for the latest stock information on this item! 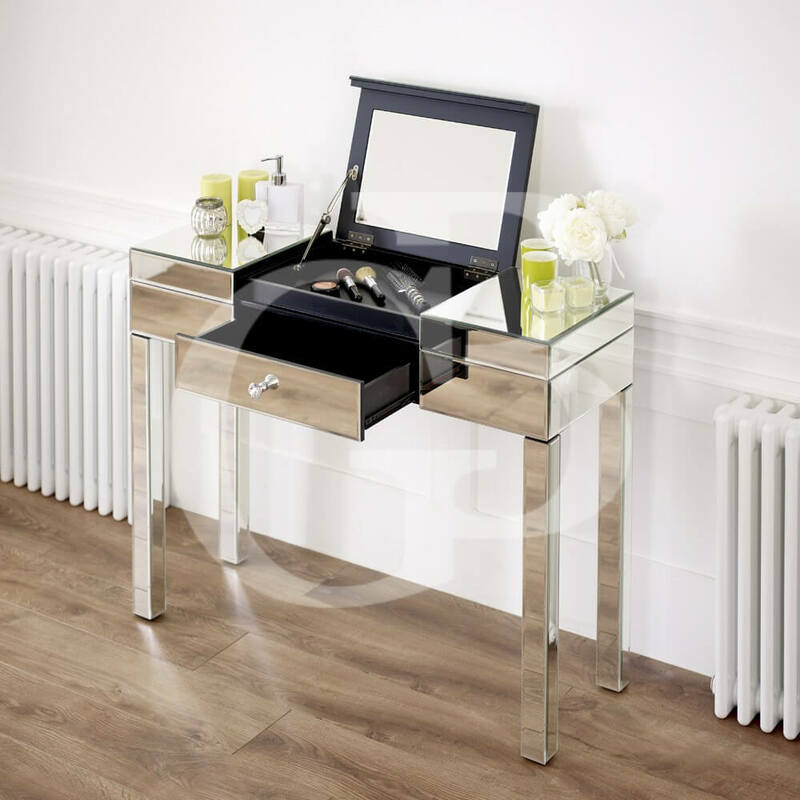 Our new Compartment mirrored dressing table is the perfect for hiding away all of you bits and bobs in the handy compartment on the top of the dressing table, constructed from a durable hardwood frame this table is made to last. 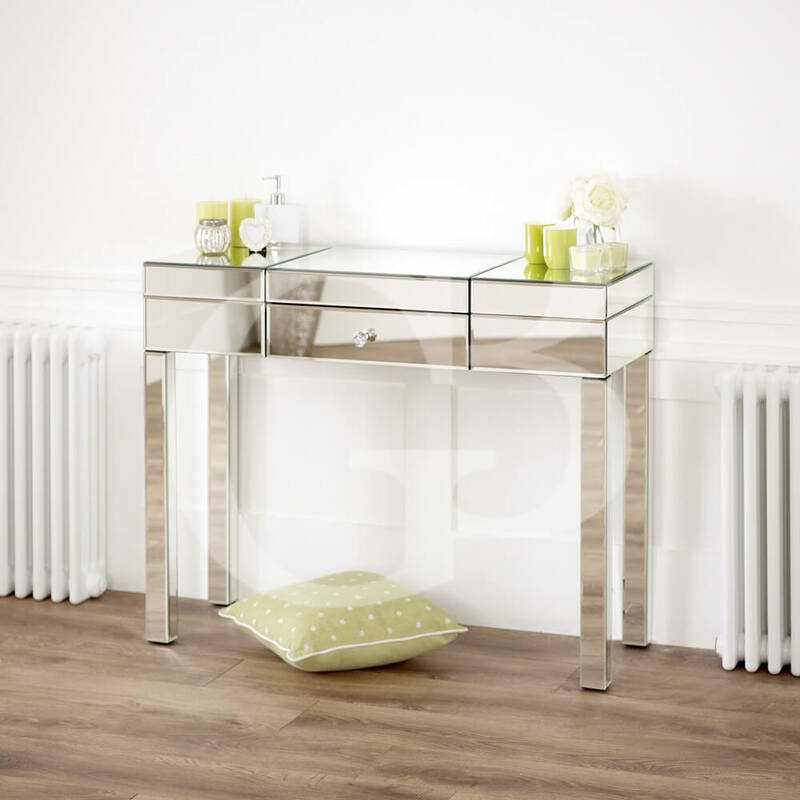 Our Plain Mirrored Venetian range is most popular of all of our mirrored furniture, with its plain bevelled glass mirror panels applied to a durable hardwood frame this furniture has strength and longevity in mind when it was constructed. 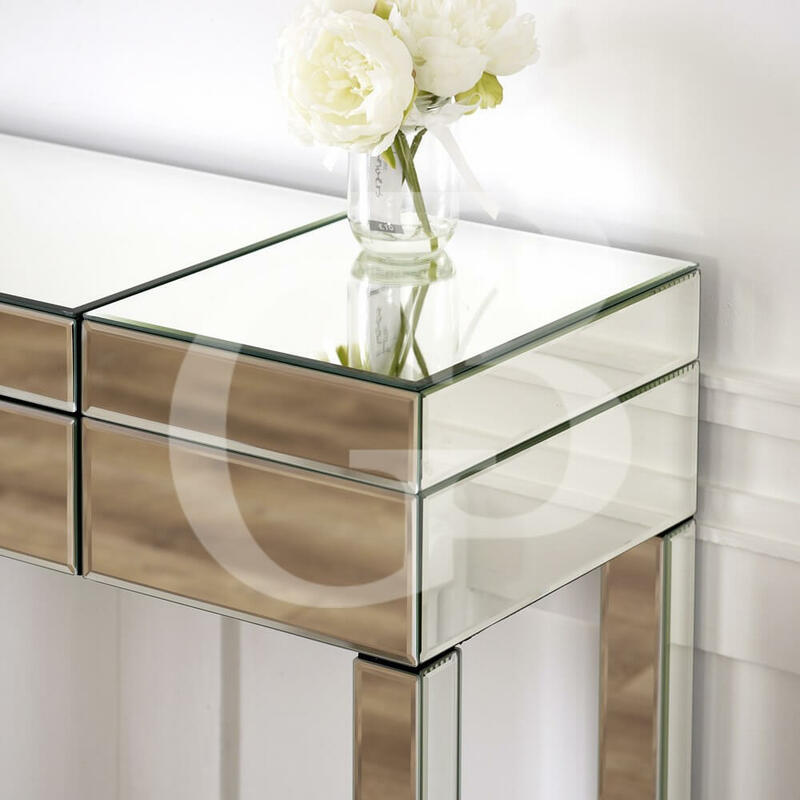 Smooth satin black borders separate the bevelled edges of each glass panel and each piece is crafted with black interiors.